An old favourite is back but this time in an even cosier brushed cotton. Matching pyjamas and pyjama bottoms available. 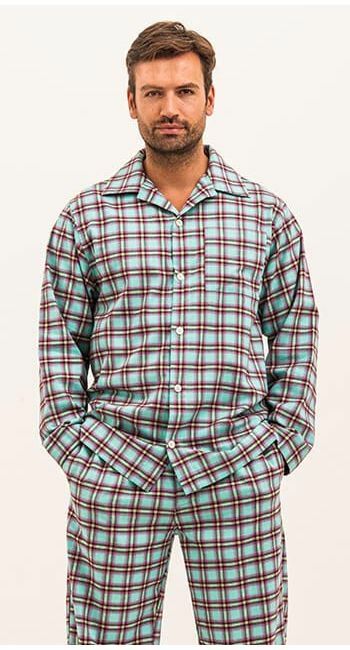 This fun turquoise check can also be found in the men's collection.